A barrier is a collective protection measure that prevents workers from falling over a precipitous edge - or from entering the fall danger zone in the first place. 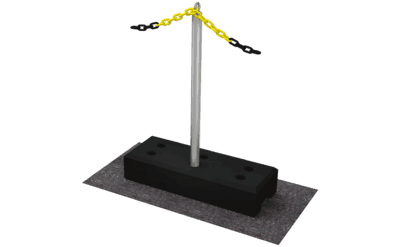 According to the BG Bau employers’ liability insurance association for the construction sector, a barrier can be a chain or cable - but not simply a piece of “warning tape” that has been stuck up. Side protection solutions, e.g. guard rails, also make effective barriers. Barriers, such as guard rails, parapets and similar structures, belong to the category of collective fall protection measures. Their purpose is to ensure the general protection of all individuals - even where these are not rigged out with any further equipment or are lacking the expertise for working at heights. A guard rail is there to generally protect all individuals from accidentally getting too close to the falling edge. Should anyone stumble against a tested guard rail, this side protection system will be able to cope with the ensuing force. Frequently, a barrier system plays a preventative role by marking the confines of a danger zone. 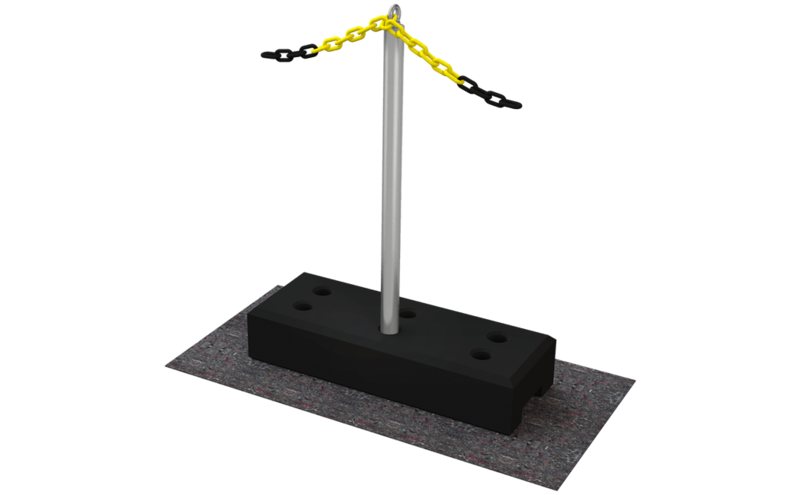 The mere presence of a barrier chain, a crush barrier or barrier cable indicates visually - or when one comes into contact with it - that the area behind the barrier is not intended to be accessed. Where possible, the aim is to rule out the risk of falling right from the outset. This explains why such barrier systems are often designed in striking signal colours.